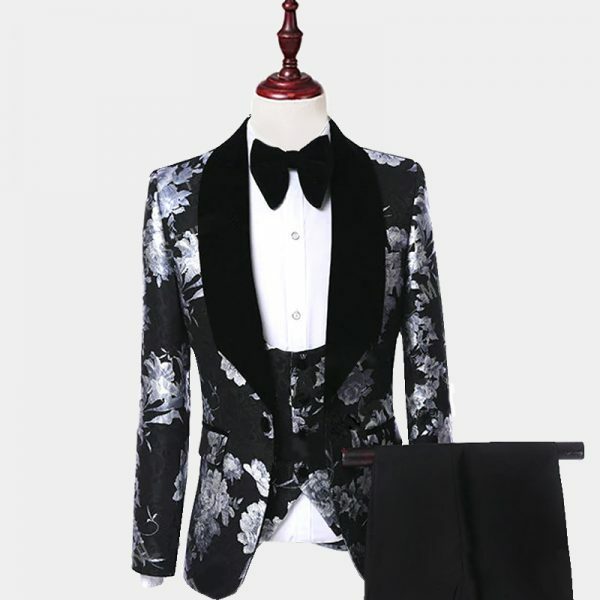 Gentleman’s Jacquard Black Floral Tuxedo 3pc. 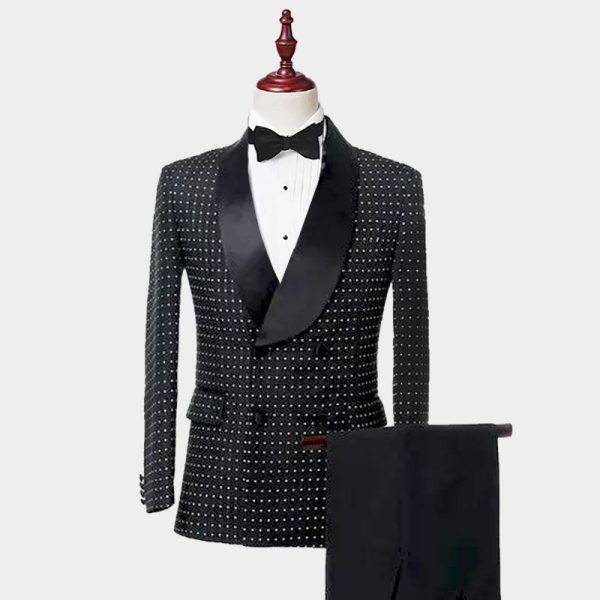 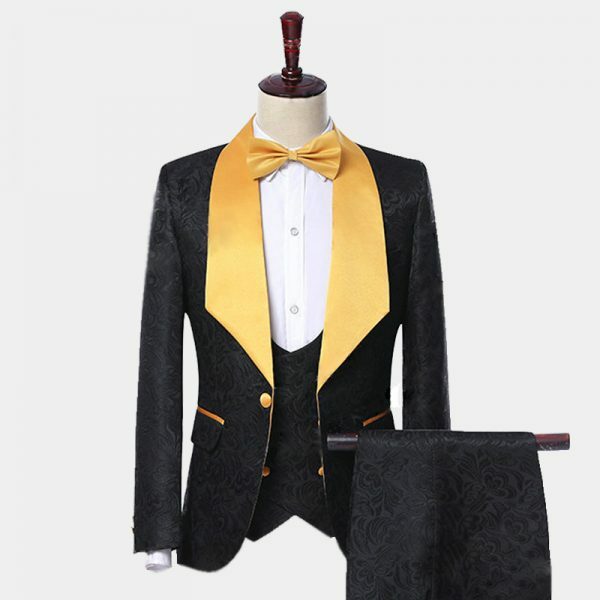 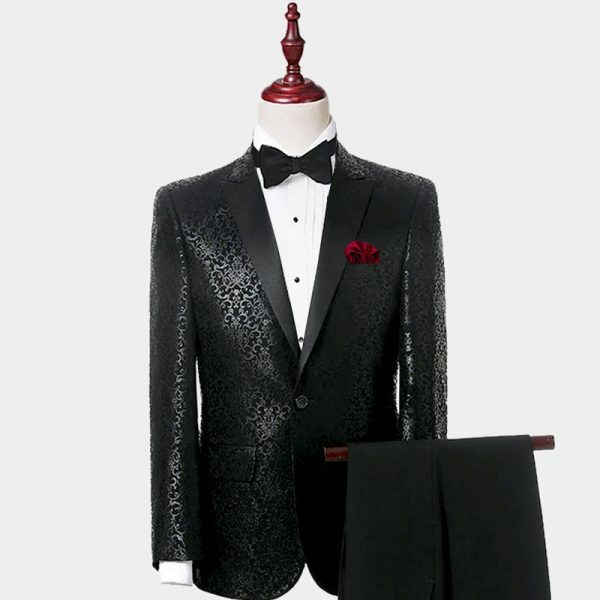 Therefore, when paired with a bow tie, a men's black tuxedo is the right choice for weddings, proms or any fancy cocktail party. 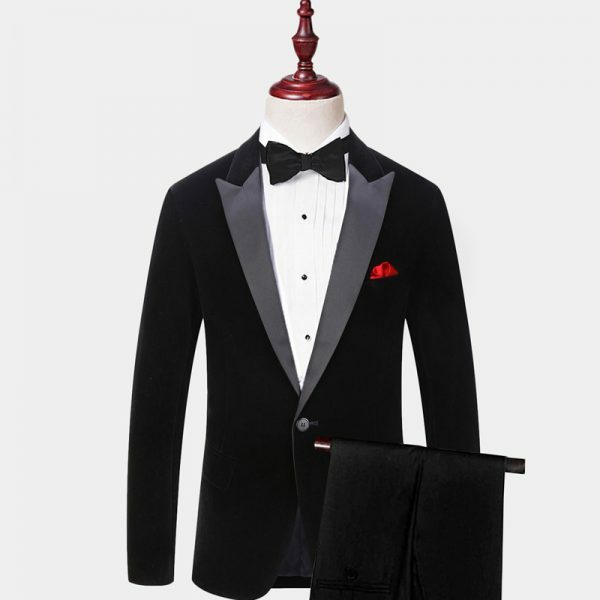 weather for the groom or the groomsmen, we offer a fine variety of luxury tuxedo suits and jackets. 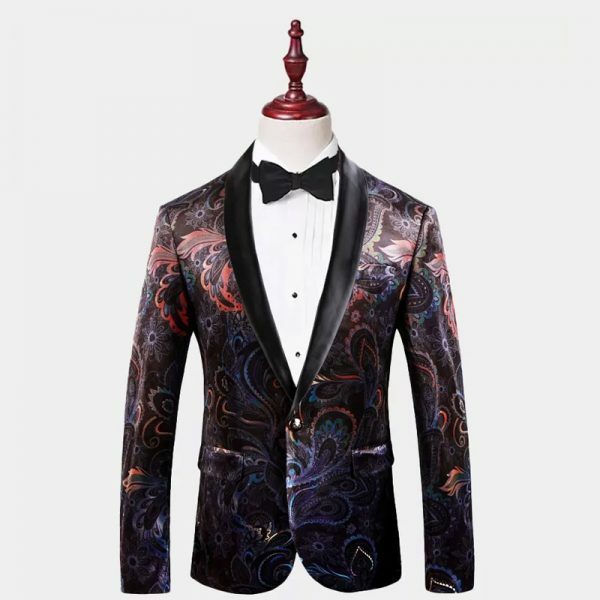 They include double-breasted, single-breasted, tail-coat and slim fit designs. 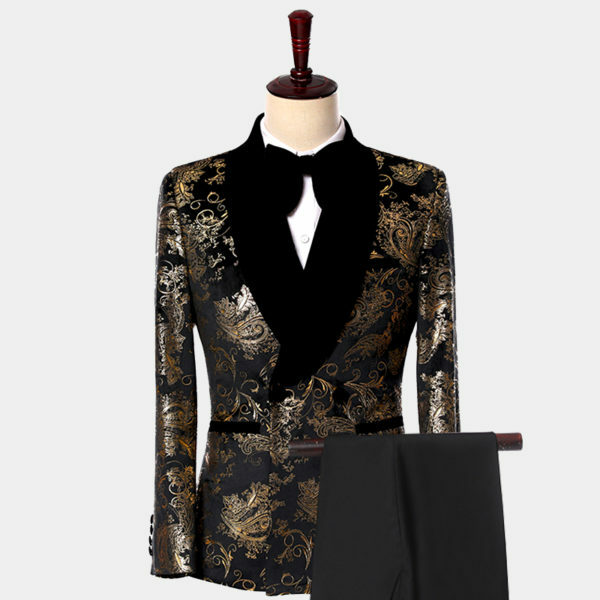 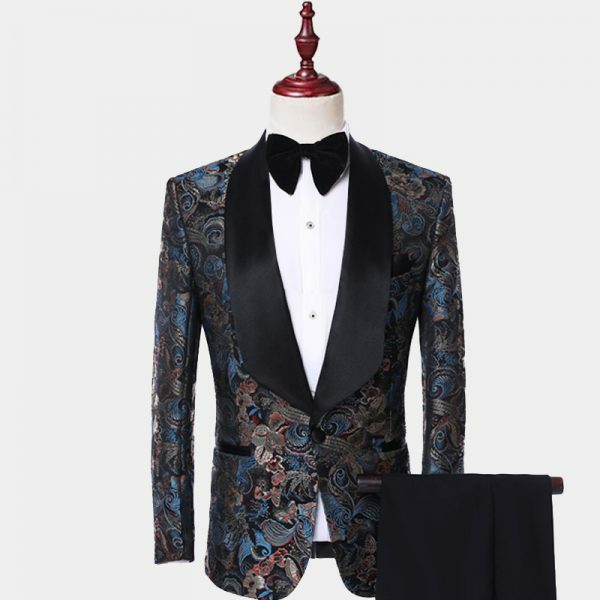 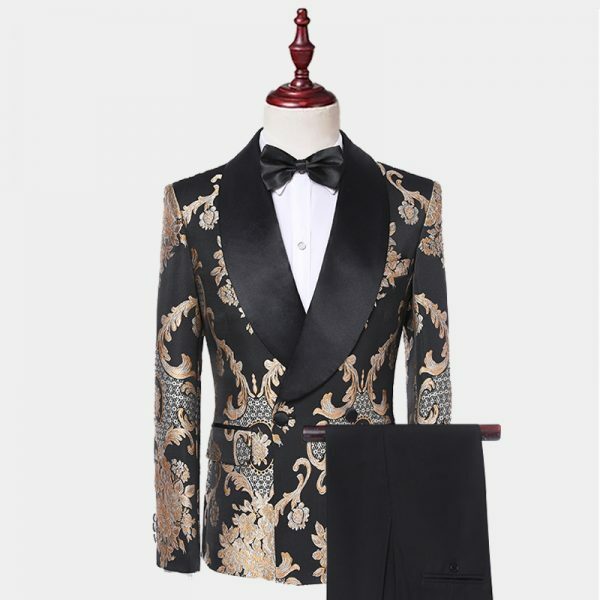 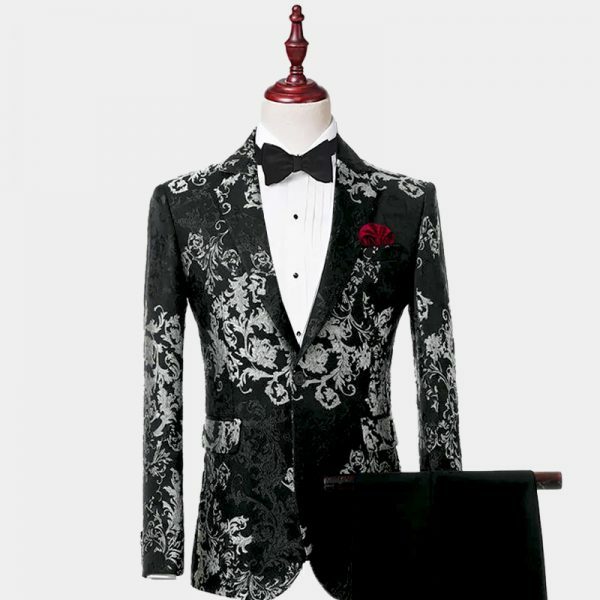 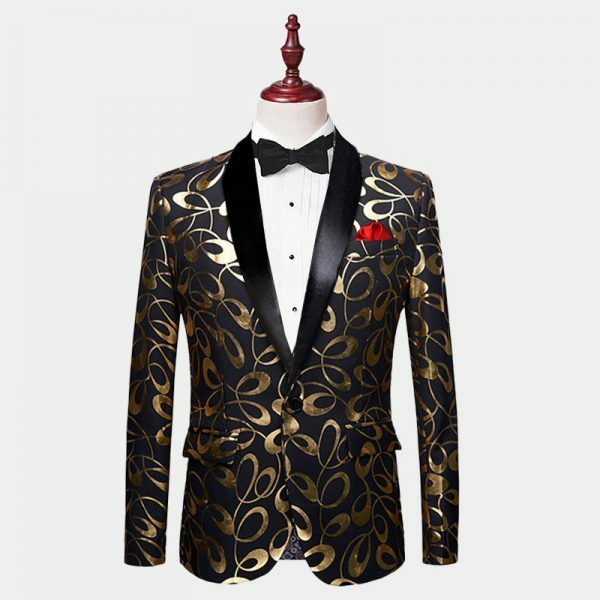 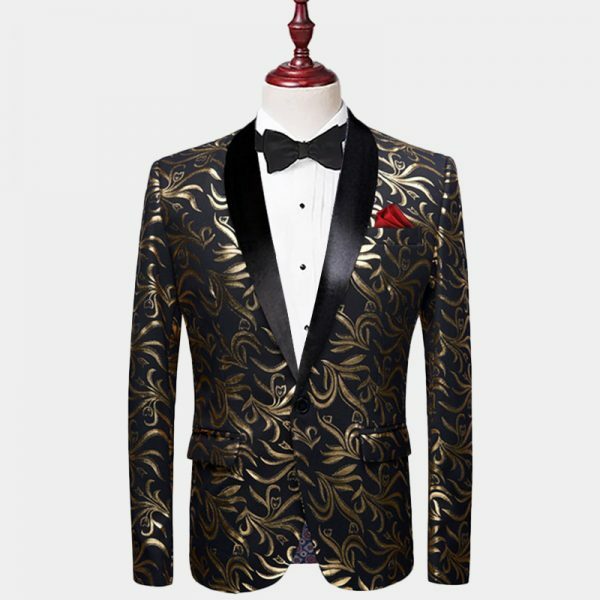 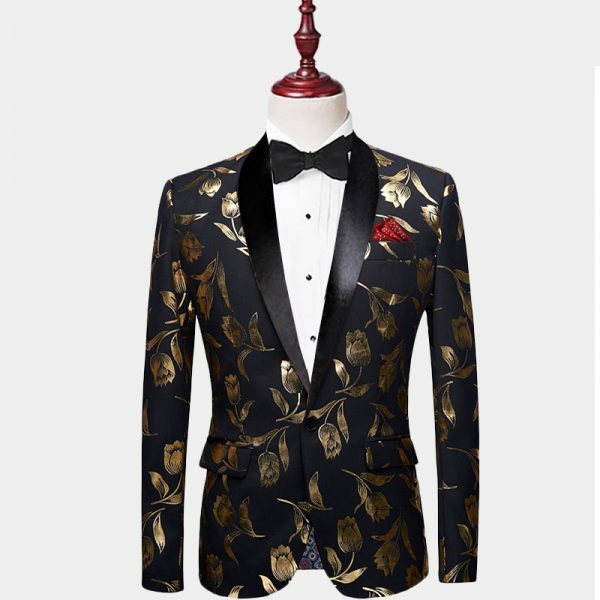 Choosing a sequin or velvet black tuxedo jacket that combines patterns like paisley, polka dot, or floral are a great way to add interest to your look. 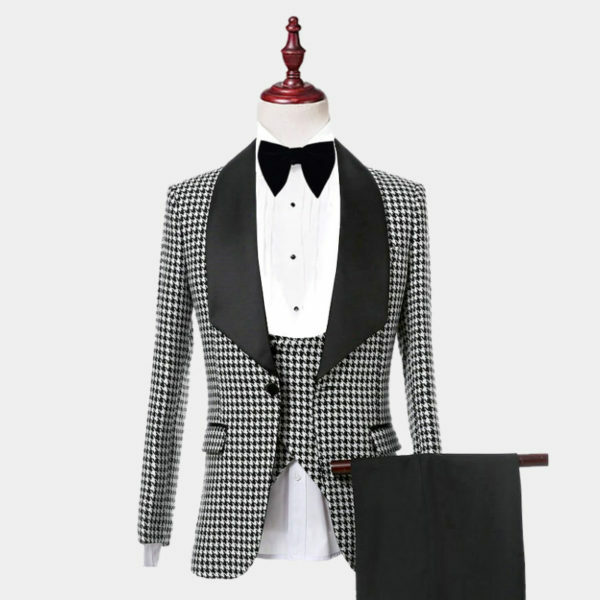 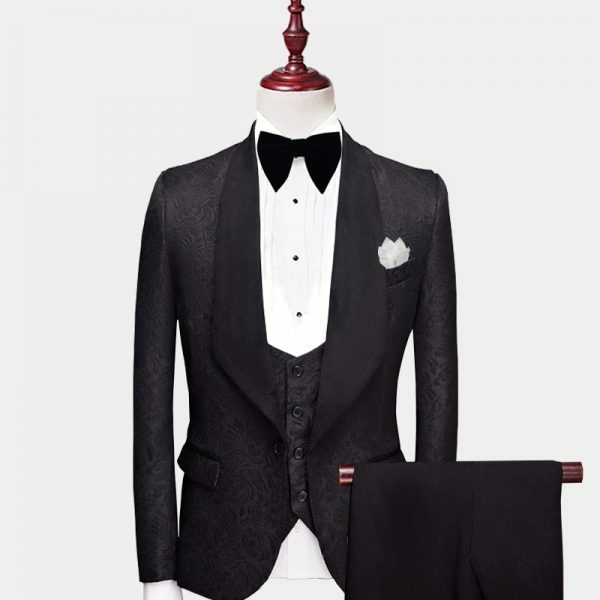 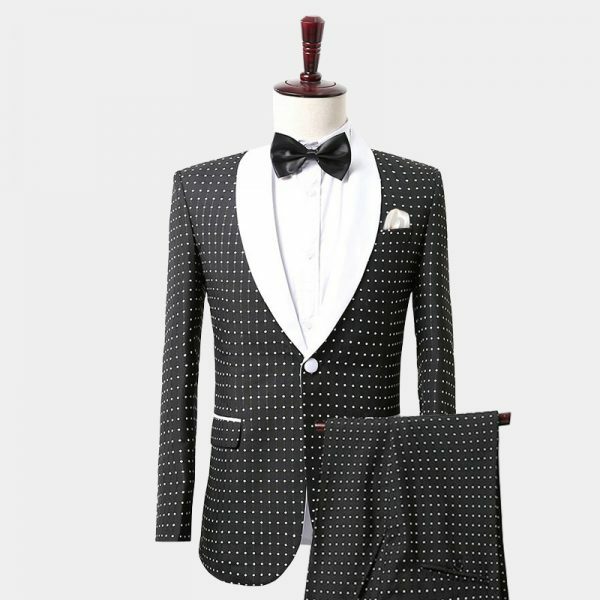 Selecting a peak lapel or shawl lapel tuxedo that includes an additional color adds visual interest to your look. 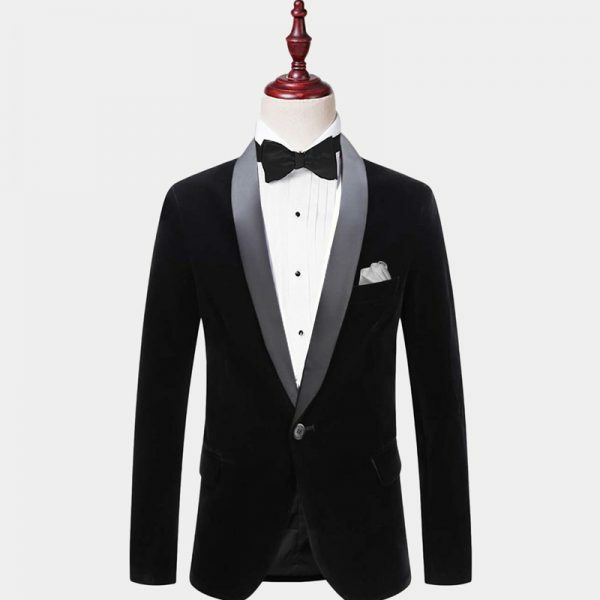 There are many ways to incorporate tuxedos into your wardrobe. 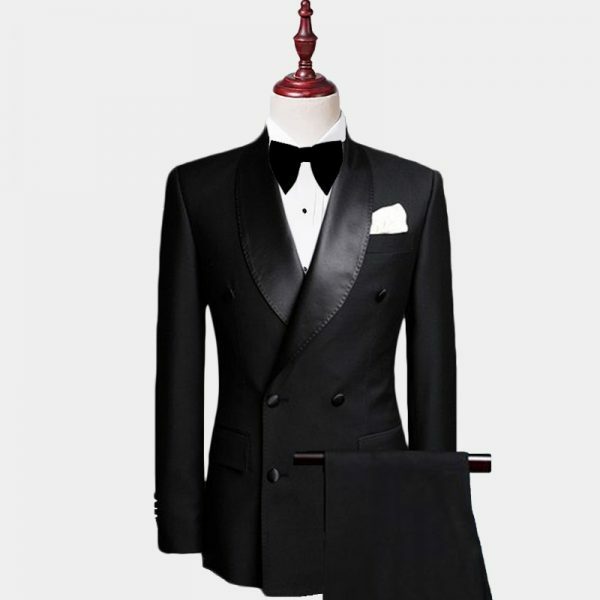 Our wide selection of high-quality all black tuxedos offers something for every modern gentleman's needs. Many of our tuxedos suits come in coordinating sets that include items like bow ties, vests and even pocket squares. 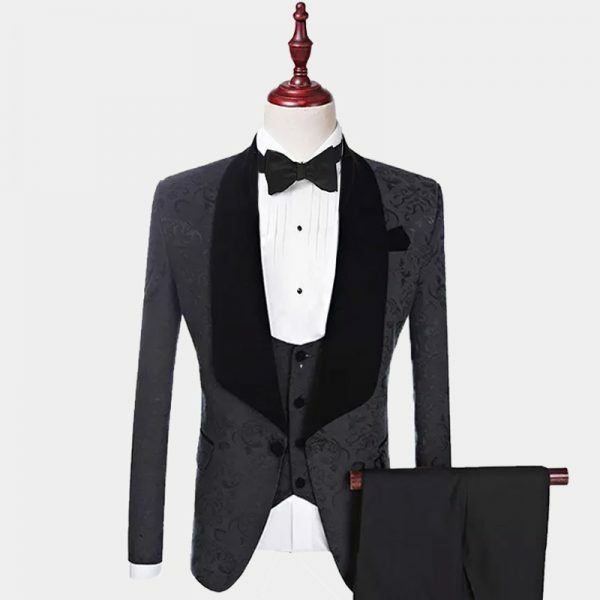 This helps to keep your formal wear pulled together as well as stretching your wardrobe budget further.